Some very crafty and creative individuals have been coming up with great solutions to provide shelter or income for the homeless. Bas Sprakel, a dutch artist, designed the Housetrike–a cargo bike that transforms into a small secure shelter. The shelter locks from the inside and even has two lovely port windows. This wonderful design provides transportation, storage, and shelter! Another European designer is also working hard to find solutions for the homeless. Danish designer, Ragnhild Lübbert Terpling created the Urban Rough Sleeper. 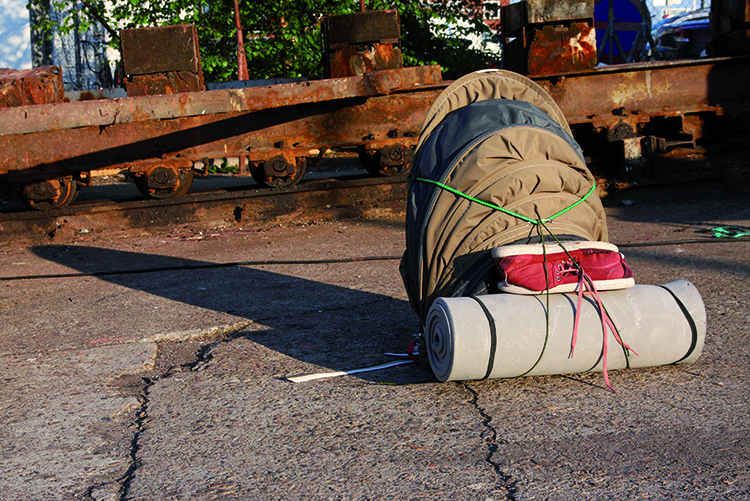 The Urban Rough Sleeper is a backpack that rolls out to provide protection for its inhabitants. Having your backpack and shelter as one is a great idea! Terpling did field research, spending time at a shelter to better understand the needs of the homeless. Tina Hovsepain of Los Angeles designed and produced Cardborigami. 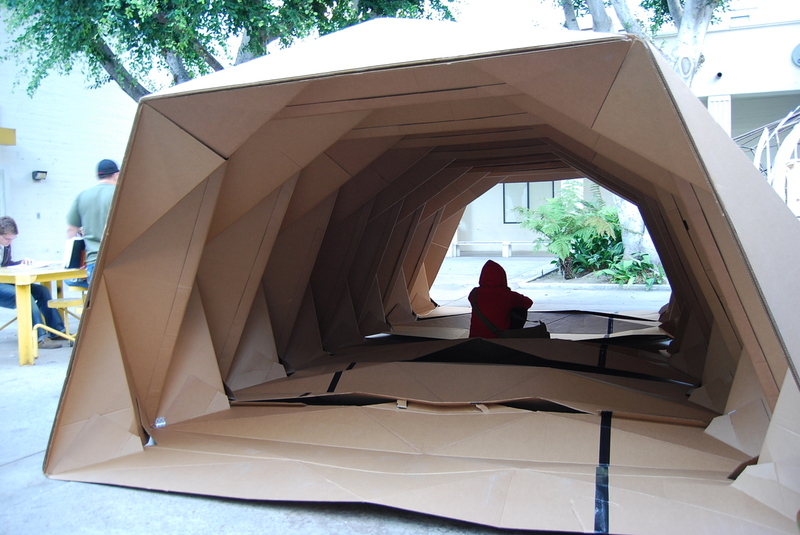 Cardborigami is a foldable shelter that can be easily set up, provides weather protection and privacy. The cardboard is water-resistant, flame-retardant, and recyclable. Arrels Foundation in Barcelona created homelessfonts.org, a website where individuals and companies can purchase fonts created by homeless people. So far, about ten homeless people have had their handwriting changed into fonts. Proceeds go toward fighting homelessness. The fonts look great!